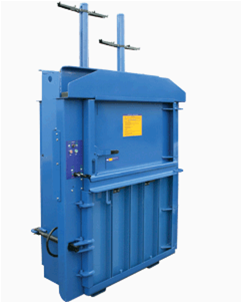 Balers differ to other types of compactors in one main respect, i.e. they bale material rather than compact it into a container. These bales must then be removed from the machine and stored ready for collection. 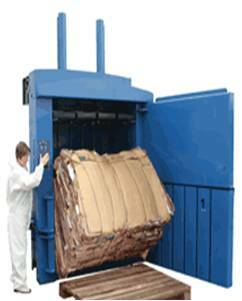 Balers are usually housed inside buildings and can fit into smaller areas than compactors. They are slower to load than compactors and their viability can often depend on whether or not the baled material can be reliably collected, and at what cost. 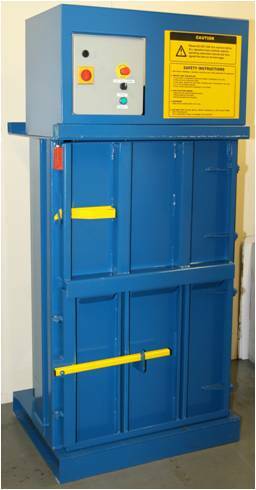 Balers are particularly suitable when the unit needs to be sited inside or when the waste material produced can be recycled economically. We offer a full waste management service where we can take away your baled waste and in many cases offer a rebate when the material is stored in significant volume. 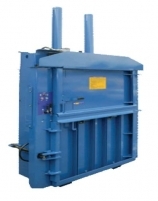 We have a range of balers which produce bales which weigh 70kg, 150kg, 250 kg and 350kg. 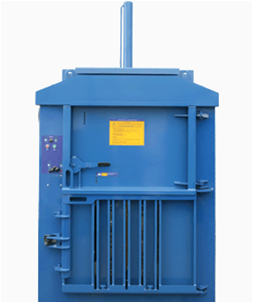 These Balers are suited to smaller scale applications for paper, card and polythene. We have two models within this range, they are both applicable for medium volume waste applications where significant amounts of polythene or cardboard are being produced. The standard TL450 produces a mill size bale. 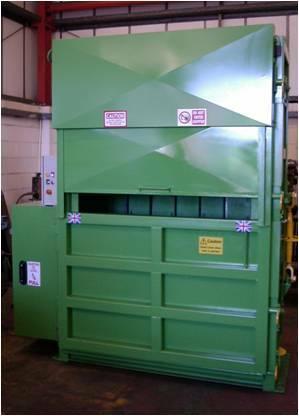 The Transhaven TL800 Baler also produces a mill size bale. This maximises revenue from waste materials such as cardboard or plastic. The TL800 Baler is unique as it is designed to fit under mezzanine floors at a much lower than normal height of 2500mm. The Transhaven TL 70 Twin chambered baler is ideally suited to retail and manufacturing operations where the volume of material of cardboard and plastic packaging is in equal quantities.The press ram on one machine can operate whilst you are filling the other chamber. You can also have several chambers on one machine! It’s like having the benefit of two balers for two materials, but with only the one cost! This maximises revenue from waste materials such as cardboard or plastic. 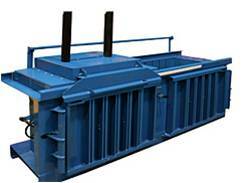 This is suitable for very large volume waste applications of cardboard or polythene. This system can be fully automated and then requires no manpower to tie the resulting bales. The baler can be fed either by a loading aperture, conveyer belt or air tube.